A few days ago, Rockstar and Sony revealed a Red Dead Redemption 2 PS4 Pro bundle (in addition to two PS4 Slim bundles), but even more information about the game has come to light thanks to press images of the PS4 Pro bundle’s packaging. Hidden in the fine print on the back of the box, we now know that Red Dead Redemption 2 will require 105 GB of storage space minimum. That’s a pretty hefty download and install, outclassing the vast majority of console games right now. However, it doesn’t necessarily mean that’s the exact Red Dead Redemption 2 file size, particularly for the digital download version. For those numbers, we’ll have to wait and see what people report as they begin to get their hands on the game. Part of that 105 GB minimum is likely accounting for Red Dead Redemption Online, which will be added into RDR2 with a future update. 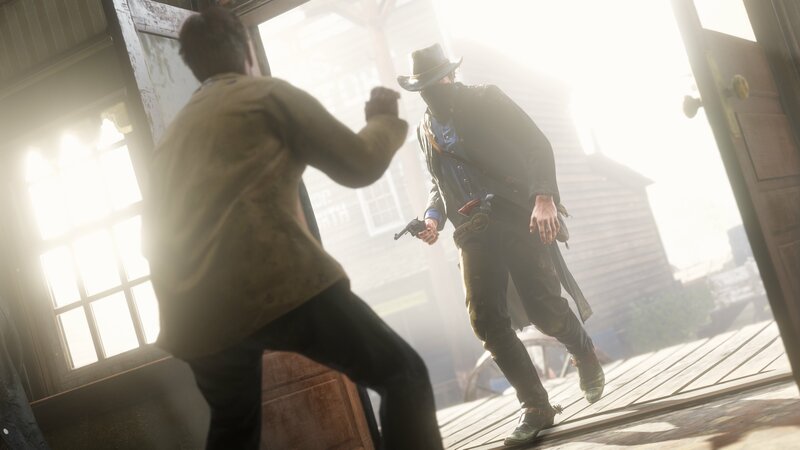 It’s inspired and built from lessons learned in GTA Online, while also managing to be its own separate game and ecosystem, rather than a “Wild West GTA clone.” While very little is known about Red Dead Redemption Online, the PS4 Pro bundle packaging does give away that it will support up to 32 network players. We’re just a month away from the Red Dead Redemption 2 release date, and Rockstar has been turning up the volume on new reveals and showing off the game. We know all about hunting the 200 species of animals that will make up the game world’s ecosystem. There will be hundreds of decisions for players to make, including customization options. We also know that weapons require maintenance and a first-person mode will launch with the game. Given all of that, the Red Dead Redemption 2 file size starts to make a lot of sense. Interestingly, Sony is offering a Red Dead Redemption 2 PS4 Slim bundle that only has a 500 GB hard drive (in the UK), meaning the game will take up more than 20% of the space on that console–less when you consider the hard drive partition that is reserved and can’t be used for games or application. What do you think of the Red Dead Redemption 2 file size? Will you need to delete some apps to make room for the upcoming Rockstar game? 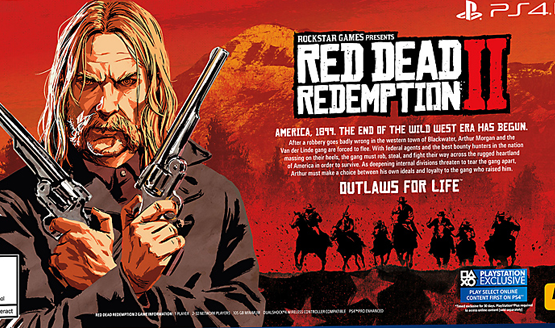 Also worth noting is the PlayStation Exclusive banner on the box, revealing that select content for Red Dead Redemption Online will be coming to PS4 players 30 days early. Red Dead Redemption 2 releases on October 26, 2018.